Microinjections of Hyaluronic Acid is provided in partnership with Omnia Education and supported by an independent educational grant from Galderma Laboratories. Your faculty for this activity Dr. Melanie Palm, medical director at Art of Skin MD in Solana Beach, California, and assistant volunteer clinical professor at the University of California at San Diego. Today we are conducting an educational activity, and this is really meant to help with guidance to incorporate new advanced techniques into your practice. This is meant to help provide safety measures as well as effectiveness for these advanced techniques and then some of the patient demonstrations that you will see today. First, we are going to speak to the physiologic changes of aging, and I think we are all familiar with these. Things such as dry, thin, atrophic skin. It becomes unevenly pigmented over time. It often takes on a sallow appearance. Sometimes there is a loss of vasculature over time. This is really related to some of the physiological changes that happen to the skin in senescence. There is atrophy to the dermal extracellular matrix. There is a loss of some of the critical sugar components, such as GAGS and proteoglycans and hyaluronic acid. There is the shortening and disappearance of elastic fibers, a decrease in the content of collagen, and then, with time, the extracellular matrix has changes that consist of cell senescence, increase in reactive oxygen species, and an upregulation in proteolytic enzymes over time. There are goals involved with microinjections. This is typically done as a series of two to three treatments done over monthly sessions and then periodical retreatment as necessary for the patient. The goals of this are really several fold. It is to increase the skin elasticity, to create a positive impact on skin surface roughness, and to enhance biosynthesis of new dermal compounds. There are benefits to hyaluronic acid that we are all familiar with. This is a naturally occurring substance. I often tell patients that this is something that is found in our skin. The effects of hyaluronic acid last up to 24 months. And there are common side effects that are associated with the injection of these products. They include skin rash, itching and bump-like eruptions, often acne-like in nature, redness, bruising, bleeding and swelling, which is often related to technique. Skin damage can result from improper technique or infection that occurs during the procedure, and most significant consequences that we get concerned about are things like blindness and vascular occlusion, which are very serious in nature, and a practitioner should be prepared to know how to address them immediately. We know that hyaluronic fillers help to stimulate cellular and molecular changes in the skin. This is a study that was done in an animal model. In this rat study, a consistent increase in dermal thickness was seen over a 12-week period as you can see on the threefold picture on the left. In the other diagram, which is found on the right side of the slide, you can see several things. In the top left, you can see that the hyaluronic filler is incorporated into the collagen matrix. In the top right, you can actually see ingrowth of both tightly wound and loose collagen fibers growing after placement of the hyaluronic acid implant. On the bottom left, with birefringence, you can see both smooth compact collagen as well as loose fibrils incorporating into the areas of filler placement. And finally, on the bottom right, with a special stain, we can actually see elastin, something that is elusive and is often hard to actually manufacture, being present and in the place close to where the hyaluronic acid was implanted. There are best practices when we are considering microinjection techniques for our patients. In the following slides, we are going to discuss patient assessment with special attention to facial anatomy, including neurovascular bundles, anesthesia and sterile measures that are appropriate prior to injection, product selection, injection technique, preventing and managing adverse events, a maintenance plan for our patients, as well as useful tools for you as a practitioner. There should be special attention paid to each third of the face, the upper face, the mid face, and the lower face. In particular, the anatomy in terms of arteries, veins, and neurovascular bundles are critical for minimizing complications and for the effectiveness of this treatment. The central part of the face is at particular risk for blindness and necrosis because of the anastomosis between internal and external carotid vasculature. This must be of note and is critical during your injection procedure. In the lower face, the key is really maintaining balance. You want to look not only from an anterior view or frontal view, but from a lateral view and appreciate the patient animation during the injection session. The chin is an area that is often neglected but is an important part of the lower face and should be considered when fully assessing the face. A detailed knowledge of facial anatomy as I mentioned previously is critically important. In these diagrams that you can see here, you can see some of the critical internal and external carotid vasculature and how they anastomose. Once you see a demonstration of the vasculature of the face, it quickly becomes apparent how easy it is at virtually any place on the face to have a complication from a vascular perspective. I think it is critical for any practitioner to be on notice of this and consider some of these important vascular structures and neural structures when injecting in order to avoid complications. So choosing the product for the right indication is critical in patient success, and it also allows us to avoid complications that are unnecessary. Choosing the product depends on the patient, the area of the treatment, skin quality, and a complete facial analysis. Under rheology and the physical properties of a hyaluronic acid gel, we, in particular, like to consider the hardness of the gel, which is considered sometimes the G-complex or the complex modulus or G prime, the particle versus cohesive nature of the gel, a concentration, and, in addition, the degree of crosslinking, which often lends to the hardness of the gel. it is important to look at factors, such as the density, the duration, and what the FDA approved the uses are for these particular gels when considering your patient and the area of injection. As I mentioned previously, it is good to keep in mind the rheology of some of these fillers when you are considering an area of placement and augmentation with some hyaluronic acid fillers. Shear stress in filler selection plays into this rheological or the physical properties of flow and declamation of these particular fillers. We often think of the complex modulus, which is this G* as well as the G prime, which is really sort of how elastic a particular filler is. For example, something that has a high G prime is highly complexed or tends to be very cohesive in nature is going to be a product that is more robust and is good at lifting as opposed to something that has a higher G double prime and is more viscous in nature. It is going to be appropriately placed more superficially and is going to be better at sort of melding into superficial wrinkles rather than something that has lifting capacity in the tissues. There are various injection techniques that we employ depending on the area of injection and what we are trying to accomplish. Really, some of this is also personal preference. Linear threading, crosshatching, fanning, serial puncture, or even a combination of several of them may be used in order to receive an optimal result from hyaluronic acid injections. But careful consideration of these injection techniques and the presence of vascular and neurovascular bundles is really of paramount importance in order to minimize adverse events. In order to prevent and manage some of these adverse events, it is important to think of both technical errors and then errors that really arise out of reactions from interplay between the hyaluronic acid fillers and our bodies. In terms of technical errors, the volume used, the depth of injection, the location of the product, and the product choice all play a role in technical errors. In terms of inflammatory reactions, infectious agents, and really, we can minimize this through proper technique and preparation of the skin, and then immune-mediated factors that may play a role in delayed-type hypersensitivity reactions may cause inflammatory reactions related to hyaluronic acid filler placement. It is important to keep mind of the facial anatomy during the injection, to prepare the skin properly, and to have a safety kit on hand with things such as hyaluronidase so that if you are having a vascular complication, you know how to address it immediately. 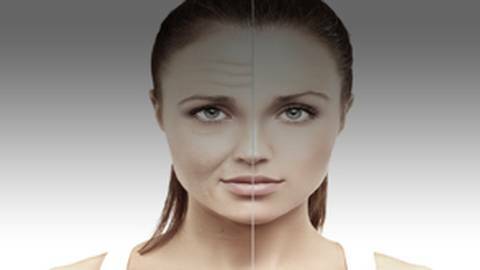 Vascular compromise and blindness are some of the most feared complications in relation to hyaluronic acid filler. There was a recent worldwide review of 98 cases that reported blindness over the past several decades, and what was found was the majority of these cases occur in the central face, and many were related to autologous fat, although every filler was represented that is currently FDA approved. I think what is important to know is there is a learning curve involved with some of these advanced techniques. As advanced filler injectors, we really need to pay attention to technique, to the tissue at hand while we are injecting, and to do the procedure appropriately in order to mitigate some of these possible complications that can arise. Most of these cases of blindness are permanent, although there are emergent cases that have reversal and restoration of visual acuity and include injections retrobulbarly or pulsed intra-arterial hyaluronidase injections. Maintenance plans are extremely important in discussing with patients at the time of treatment, but also at the onset of cosmetic consultation. Full correction is required, but often times this can occur over several session rather than of a mega-filler session. But the longevity of the fillers and patient parameters really determine how long the duration of the procedure is. In general, I like to reassess patients every 3-6 months and treatment touch ups usually occur at a frequency of about every 6-9 months. As we have just discussed, in performing some of these advanced techniques with hyaluronic acid fillers, it is important to know that there is a learning curve associated with this in order to build confidence and ensure patient safety. With practice, even some of these more advanced techniques become more understandable, better assessed, and ultimately provide superior patient outcomes. Maintenance plans are extremely important in discussing with patients at the time of treatment but also at the onset of cosmetic consultation. Full correction is required but oftentimes this can occur over several sessions rather than a mega filler session. The longevity of the fillers and the patient parameters really determine how long the duration of the procedure is. In general, I like to reassess patients every three to six months, and treatment touchups usually occur at a frequency of about every six to nine months. Dermatologist Dr. Melanie Palm demonstrates micro-injection techniques of the face and neck. Minimally invasive, soft tissue filler use continues to rise in the US and plays an integral part in the correction of aesthetic changes associated with aging. Join Dr. Melanie Palm in this advanced hands-on video for experienced injectors, designed to demonstrate optimal application sites and techniques for microinjections on the forehead, lips, and neck. Dr. Palm will share her pearls on hyaluronic acid injection techniques to ensure the best possible aesthetic results, increase skin elasticity, enhance biosynthesis of new dermal compounds, and optimize patient safety. Dr. Palm receives consulting fees from Allergan, Ampersand, BTL, Galderma, ISDIN, Lumenis, Lutronic, and Merz; is a speaker for Allergan, BTL, Galderma, Lutronic, and Merz; and conducts contracted research with Allergan, Ampersand, and Galderma. Laura Engles-Horton, PharmD, has disclosed that she receives a salary from Bayer Healthcare. The Omnia-Prova Education Collaborative, Inc. designates this enduring material for a maximum of .75 AMA PRA Category 1 Credits™. Physicians should claim only the credit commensurate with the extent of their participation in the activity.